Order a selection of our most popular specialty products. O'Leary Paint is a participant in the Green Wise certification program. In order to obtain the Green Wise certification, a product must be tested against six environmental testing conditions specific to characteristics of paint. O'Leary Paint recognizes the importance of considering the environmental impact of our products and manufacturing. Get painting and preparation tips for beginners and professionals. 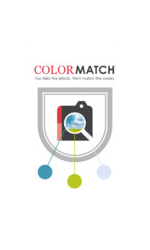 Use our various Color tools and get useful resource links. 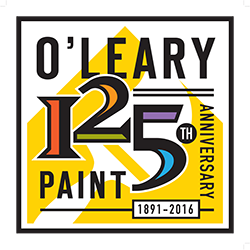 O'Leary Paint manufactures and distributes the highest quality architectural, commercial, and industrial paints, coatings and related equipment and supplies. We enjoy our reputation as leaders and innovators in the ever-changing paint industry. Our strength as a company is a reflection of the quality of our people. Virtually Paint Your Home in Seconds! The Color Guild Visualizer gives you engaging and easy-to-use options to redesign a preformatted home image or upload your own. The new and enhanced features are the most precise image mapping and product visualization available anywhere in the paint industry.